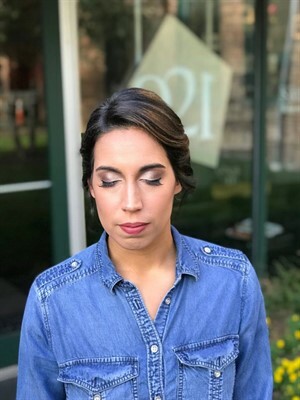 Our skilled make-up artists are prepared to create the look of your dreams. Whether you host your getting ready party in your on-site suite, or in our spa, we are prepped to make you look your very best. FOR MORE INFORMATION INCLUDING OFF-SITE SERVICES, PLEASE VISIT OUR WEDDINGS PAGE. At Studio 921, we specialize in wedding hairstyles for you and your bridal party. From classic up-do's to modern, effortless waves, our talented hair stylists can create a beautiful custom look for your special day.